On March 18 every year, the world celebrates the feast of St. Joseph, the patron saint of the family. It is said in the Holy Scriptures that St. Joseph was born in Bethlehem and worked as a carpenter, an occupation he later passed on to his Son Jesus. St. Joseph is considered the patron and protector of the entire Church. Also on March 18 every year, a select band of grateful Sri Lankans celebrates the feast of their Alma Mater and its patron saint. 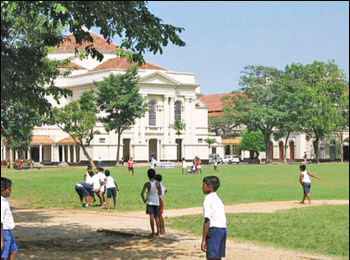 St. Joseph's College - situated in Maradana, Colombo - was born on March 2, 1896 and counts 114 years of quality education, virtue and knowledge. The motto of the school has always been in scientia et virtute by which the school recognizes and personifies the value of knowledge, human dignity and spiritual values. I believe that generalizing the worth of this great school in mere laudatory terms would do this educational behemoth a grave disservice. This school deserves no less than individual recognition and gratitude from all its past pupils. In times of trial and tribulation, this noble centenarian stood steadfast, like a storm which blusters its way through the aridness and barrenness of a futile struggle, only to pause every now and then as if to catch its breath, and proceed with full force towards its objective. Teaching is what happens in every school. However, in this school, much more than just teaching happened to all of us Josephians, We were also given what is now called Assurance of Learning (AoL). Curiously, although this is a relatively new approach in American Universities, AoL was a free flow in the teaching tradition of St. Josephs, which brings to bear the vision of the school. For those unaccustomed to the term, AoL is, contrary to what one might expect it to mean, i.e. the assurance of book knowledge, assurance that the ultimate product of the school is a well rounded personality who would assimilate into civilized society with maturity and grace. This was done at St. Joseph's by first making sure that learning occurred for each of the learning goals the school identified as appropriate for its programs. The emphasis was on producing a learned citizen, replete with maturity, wisdom and tolerance. We were taught to be tolerant of all other religions. We were provided, particularly in the more senior classes, with exposure to erudite analyses of Buddhism and Hinduism as ways of life. There was zero tolerance for bigotry in whatever form, whether it be religious, racial or cultural. From the elementary school to the university entrance class, St. Joseph's adapted its educational programs to the school's mission and cultural circumstances, specifying learning goals and demonstrating achievement of learning goals for discipline-specific knowledge and skills that its students achieved in each of their classes. A great asset that St. Joseph's bestowed on us was not its achievements, nor its distinguished past pupils and the galaxy of learned tutorial staff. It was the schools compassion. 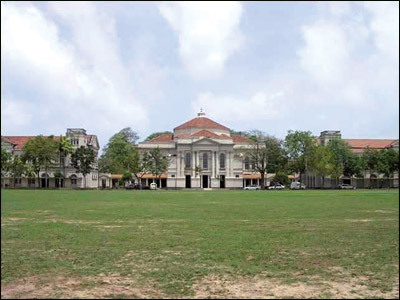 Despite the prevailing legal requirement, when St. Joseph's opted to be a non-fee levying private school, that the school should not charge fees from its students, the school authorities never pressurized parents to make donations on admission nor did they refuse to take boys whose parents were in adverse circumstances. There were many beneficiaries from the poorer environs of Colombo who benefitted from free education at this school. The school had clear, explicit goals of producing useful citizens. It had a deep rooted commitment to long-range, continuous improvement and fostering long-term relations between parents and school employees. Everyone was involved in improving education. This included teachers, educational support personnel, parents, administrators and students. 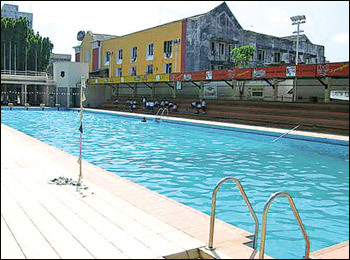 Arguably, the greatest asset of the school was by far its endurance and noble tradition. Every good school provides a good education. Every good school has good teachers and every good school instils good values in its students. In this regard, St. Joseph's was no different from any other good school. But St. Joseph's offered us much more than these. Perhaps much more than any other school could. Every morning, we started the day in prayer, whether it was behind the Grotto as little ones, or in our classrooms as elementary students or as high school students in the college chapel. We sought blessings, both for Christian and non-Christian students alike, and very often we did receive them. When we prayed, it was not in supplication but in conversation and friendship. We stood proud behind the colours white and blue, which stood for purity and clarity; virtue and knowledge. We were taught that in reading lay knowledge and in knowledge lay wisdom. We were also taught that thinking was the application of intelligence to our experience, that cleverness without wisdom was inadequate and that no matter where we were, our wisdom and faith would take us through any difficulty. Education was imparted through Christian values, which were demonstrated and not just taken for granted or left for our own convenience. We were taught that we should have the courage of our convictions and that we should never be afraid. Although a religious minority, we were never reluctant to show our faith in public, whether it was during the Month of May or at the feast of Corpus Christi. We stood up to the highest authority in the land when our school was threatened with a hostile takeover, and won. We knew then that if God could take us through such an ordeal, he would take us through anything. This way, we knew that we did not have to depend on the arrogance of self-reliance but that we could put our faith and trust in our maker. We were never alone. We celebrated mass on Sundays together, with our colleagues and parents, in the College Chapel, relentlessly and cheerfully when Sundays were no longer considered public holidays and we had to attend school on the Sabbath. We knew that the phase would pass, like everything else. We knew that no matter who we would become, we would never cease to be children of virtue, knowledge and wisdom. It did not matter if we did badly at one exam. That was just a battle but there was a war to be won. We may have stumbled, but our values told us to get up and go ahead. When one of us was taken ill, or just taken away, we assembled in prayer and in friendship. We were taught that friendship is measured not by what you receive, but by what we give others. I still start the day in prayer, if only as a hurried blur of faith in the process of dropping my child off at school and dashing off to work. I no longer have the luxury of guidance from enlightened and virtuous teachers. I just have myself, and a family which looks up to me for guidance. But I still do have a white and blue flag before me everyday, this time representing an Organization which helps the world, just as we were taught at school. It stands for the same values as does my school, and does not ever allow me to forget St. Joseph's. This is what made St. Joseph's different. It is a school that gave us a sense of direction, purpose and dignity, and enabled all of us who had the good fortune to be educated there to apply the range of our knowledge to the depths of our curiosity so that we can reach a better understanding of the manner in which the problems and challenges attendant on our lives can be addressed and overcome. To borrow words from the great Mahatma Gandhi, St. Joseph's enabled us to become the change that we want for the world.